The Dreamcar album first came into my Record Cell a little over a year ago as a birthday present from Mr. Ware. Apparently, his son found this new band and thought that his dad would really dig it. The next thing I knew it was in my mailbox as my birthday gift. I popped that sucker on and the chip off the old block knows his dad! And his dad knows me. 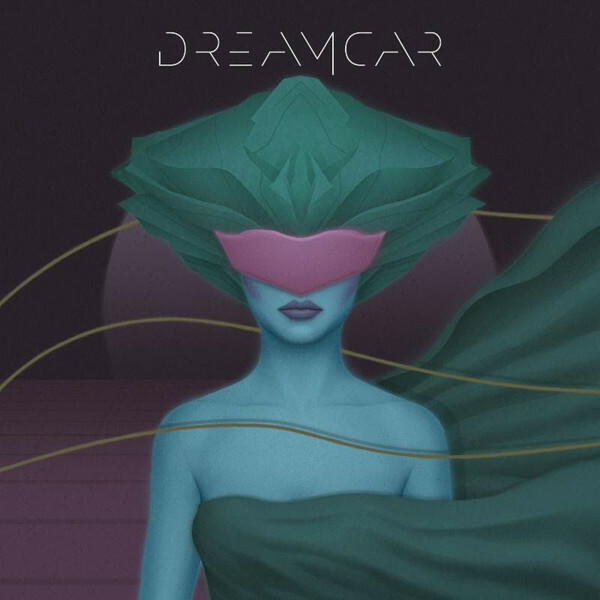 Dreamcar were not even on my radar in any way, shape, or form, but I can’t deny the miles of simple pleasures that this album afforded. The mauve and teal artwork let the prospective listener know exactly where they were coming from! This look was a hair’s breadth away from the decade defining Patrick Nagel aesthetic that informed not only Duran Duran, but spread through the culture via even more powerful vectors like Miami Vice. The members of Dreamcar with what’s known as a subtle clue in the background! 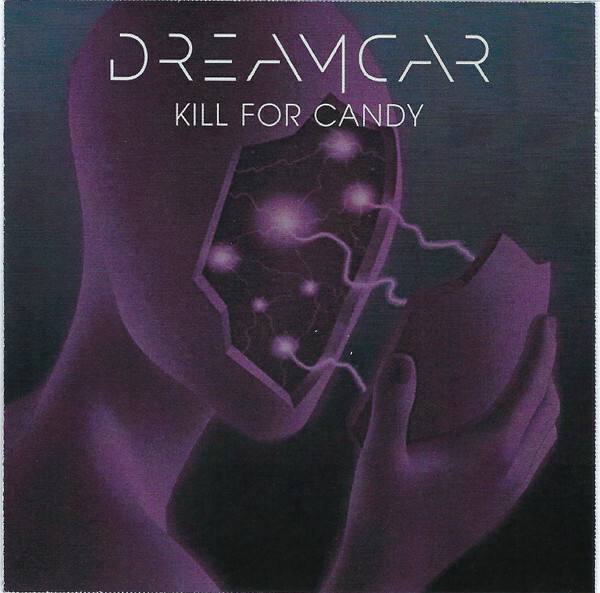 Dreamcar were a throwback band on multiple fronts. First of all, they had the audacity to be a supergroup in the far-flung year of 2017. The band was comprised of the three gents from No Doubt who were left high and dry when Gwen Stafani cashed her chips in and beat feet to her inevitable solo career. Now, she’s releasing christmas albums, for crying out loud! 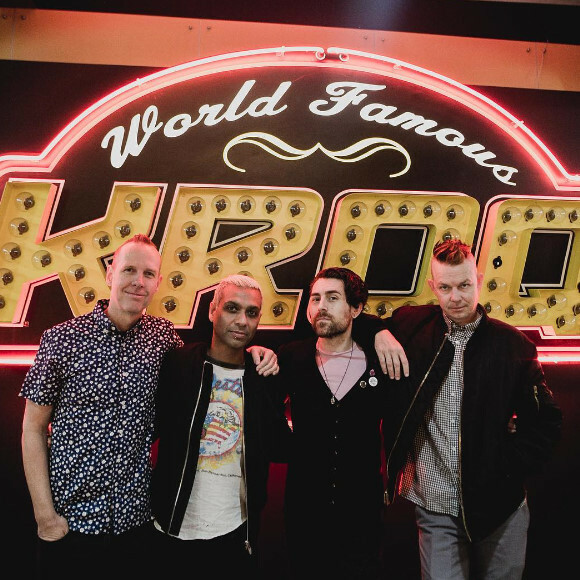 Meanwhile, Adrian Young [drums], Tom Dumont [guitar], and Tony Kanal [bass] teamed up with Davey Havok from L.A. punk band AFI to form Dreamcar. Their second throwback was that those guys were all hitting middle age about now, so when freed up from the expectations that No Doubt came with, what else could they do but release an album absolutely steeped in the ethos of the early 80s KROQ playlists that they grew up with? Boy howdy! When the album kicked off with “After I Confessed,” one would be excused for thinking that rare, unreleased recordings of Duran Duran captured somewhere between their debut album and “RIO” were pumping out of the speakers! The white hot rock disco rhythm section was a dead giveaway, and the propulsive, energetic mood never flagged. The single, “Kill For Candy” was more taut riffage from Dumont with Havok bursting into major key flight on the soaring chorus; singing with the kind of earnest delivery that a thousand American bands who sought to follow in the Double Duran footsteps way back when had road tested seven times to Sunday by 1988. But I’ve not really heard anything like this for the last nearly 30 years. 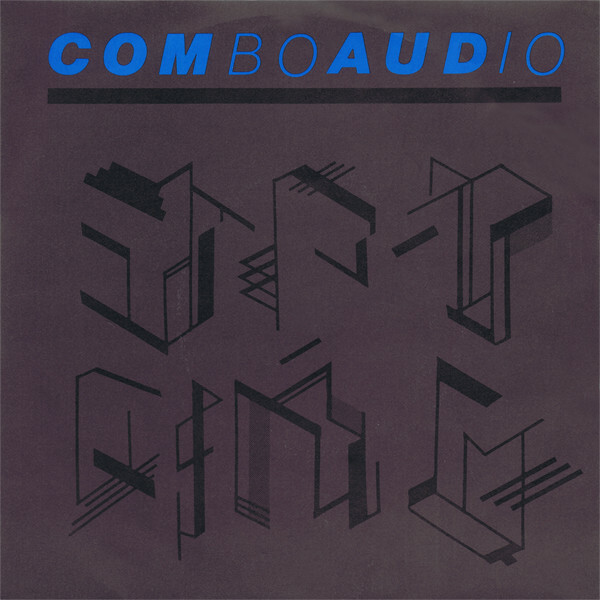 During the adolescent years of the band when they had their ears glued to KROQ-FM, they were probably hearing records like Combo Audio’s “Romanticide,” which must be the exact template that Dreamcar were shooting for since they nailed that target to the wall! Trust me. Anyone who dug “Romanticide” will find loads to love here! Fans of Figures On A Beach? To the white courtesy phone, please! “On The Charts” not only sports clever, cheeky lyrical metaphor, but was based around some wicked Nile Rogers brand® rhythm guitar action that DD themselves dipped into on more than one occasion – often with Rogers himself playing. “All Of The Dead Girls” was built around some prime Glitter-stomp but let’s call a spade a spade here; when this band were in knee breeches, the twin suns around which KROQ orbited were Duran Duran and Adam Ant. I knew that this album had to also have an Antmusic quotient. The band work this action like the pros they are. Twelve songs. 40 minutes and not a single dead space in the mix. One could be forgiven for thinking that Roy Thomas Baker had produced this outing instead of Tom Pagnotta. It’s all as breezy, shallow, and slick as an oil stain on the blacktop, but you won’t complain if you’re in the mood for that 1983 New Music sound. 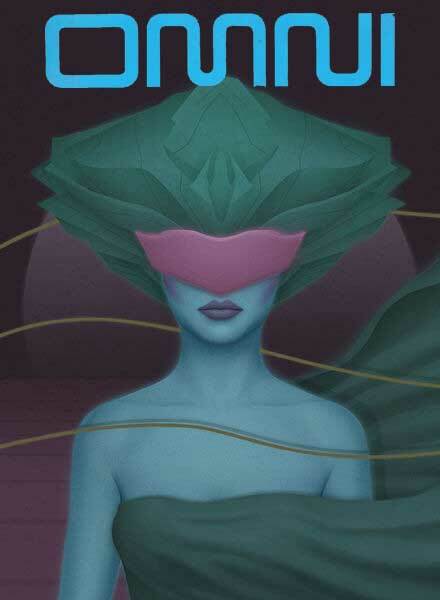 I can only hope that Duran Duran manage to squeeze out another album and tour just so that cosmic justice will prevail and Dreamcar will get picked to open up the US tour dates. After which, they might as well self-combust since they would have no reason to further exist. This entry was posted in Record Review and tagged 2017, AFI, Dreamcar, No Doubt. Bookmark the permalink. Reminds me of the first album of White Lies. I would hardly call the 3 ” back up” musicians in No Doubt and the singer of AFI a supergroup. It does sound a bit like 1983 in the guitars and melodies, not much DD to my ears. In all, forgettable.Something I would tune in on the radio, call it EMO, and move the dial. But glad I listened to it. You had me at “Romanticide!” To borrow a phrase — SOLD, American!